All Sandhill wines are bottled as single vineyard wines and capture the defining influences of vineyard, grower, and winemaker. 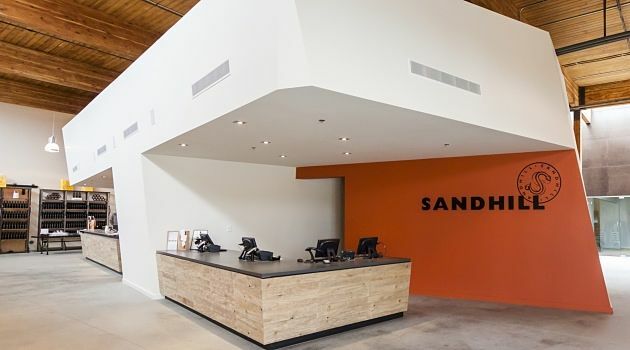 The opening of Sandhill Winery marks the culmination of several years of steady investment in Sandhill Wines. These investments have included the acquisition of vineyard land, the introduction of state-of-the-art winemaking equipment, and a significantly increased barrel-ageing program. Grapes for Sandhill wines are sourced from six premium vineyards throughout the Okanagan, including 450 acres of Sandhill-owned vineyards. All Sandhill wines are bottled as single vineyard wines and capture the defining influences of vineyard, grower, and winemaker. 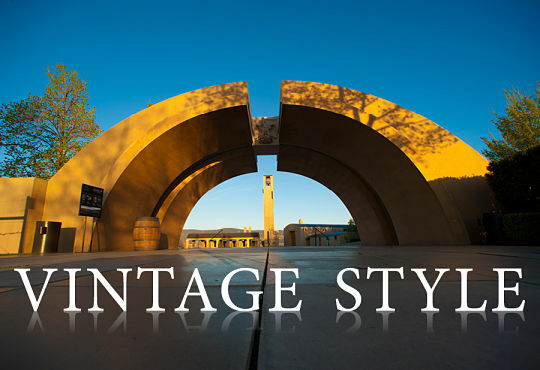 At the winery, the Sandhill single vineyard story will be told through a variety of tasting experiences. Virtual vineyard tours offer an in-depth experience, guiding visitors on a tour of Sandhill’s six vineyards and exploring how the terroir and each grower’s techniques produce wines that are truly distinct. For those looking for a deeper learning experience, Sandhill Winery will offer three daily wine education sessions with topics such as The Challenge of the Terroir and Sip and Savour. The main Tasting Bar will offer a lively space in which to taste Sandhill wines, while in the Wine Lounge, visitors can relax and enjoy tasting flights at their own pace. The winery’s design is inspired by the industrial heritage of its downtown Kelowna neighbourhood. The 8,000 square foot space is modern and light-filled, with soaring ceilings and reclaimed, 80-year-old wood beams. The main room is anchored by a large glacier sculpture that pays homage to the Okanagan Valley’s natural geological features and glacial history, which give the region its ideal grape-growing conditions. A glass wall divides the main room from The Cellar, which houses Howard Soon’s Small Lots program. Small Lots are small quantities of wine from specific identified blocks within a vineyard that consistently deliver wines of great character and depth. Sandhill Winery is located at 1125 Richter Avenue in downtown Kelowna, British Columbia. The Winery will be open daily throughout the year. For tasting schedules, reservations, and more information, visit www.sandhillwines.ca. See more winery architecture from our August 2013 issue.